Sometimes you just need a light lunch or a small bite and these Balsamic Portobello Sliders will definitely satisfy both! It’s funny, but you never know what you will find at discount stores. I went to Big Lots last week to look for birthday goodies for my princess’s upcoming birthday party. They sell food items, too, sometimes crackers that are going to expire in a couple months. But, since my kids will a box inhale in one sitting, it’s not a problem for us. That’s where I found these cute slider buns. Twelve Sara Lee Whole Wheat Buns for $1. Score! 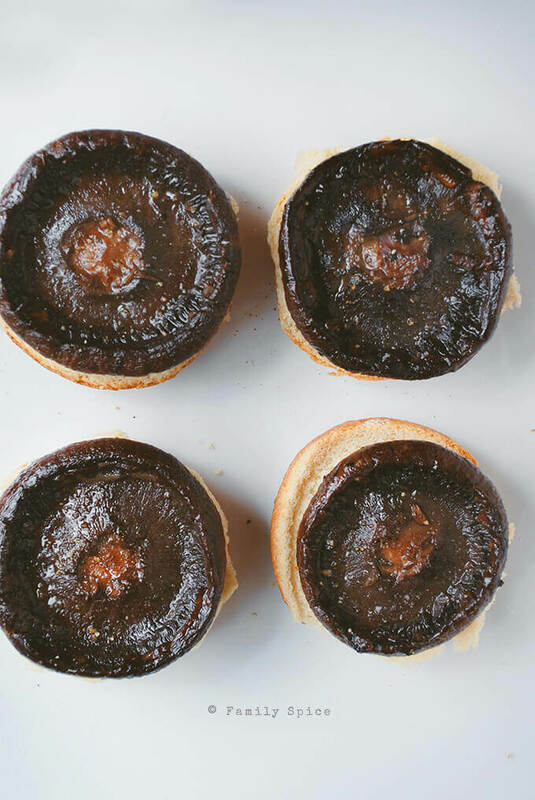 I made some really amazing portobello sliders. 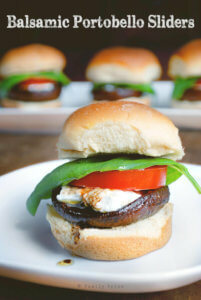 The baby portobello mushrooms worked perfectly for these fun-sized buns. I tossed the baby bellas with some olive oil and balsamic vinegar and roasted them until they were starting to caramelize. … and a fat leaf of basil. Drizzled it all with some balsamic and EVOO and we couldn’t stop munching on these. Just in time for football season and watching the big game! Using a small spoon, carefully scoop out gills inside the mushrooms and discard. Place mushroom caps in the balsamic mixture and toss to thoroughly coat. 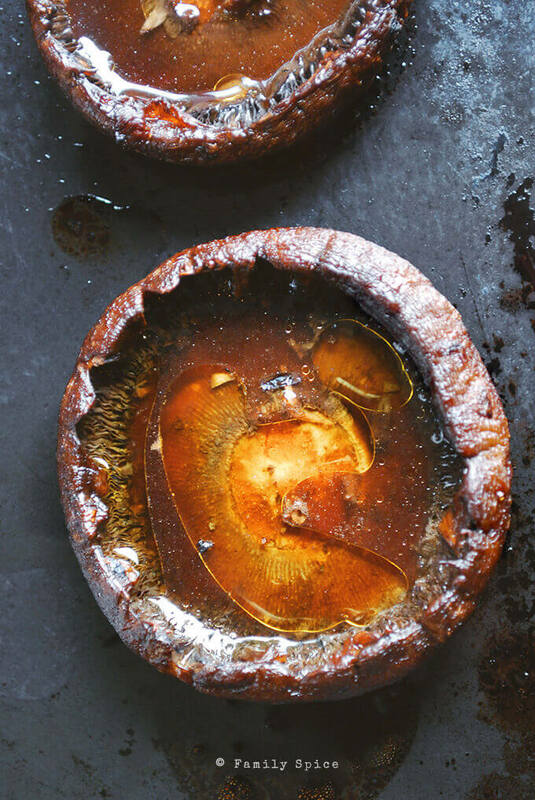 Put mushrooms on a broiler pan bowl-side up, and place in the oven. Cook until mushrooms have started to caramelize, about 20 minutes. 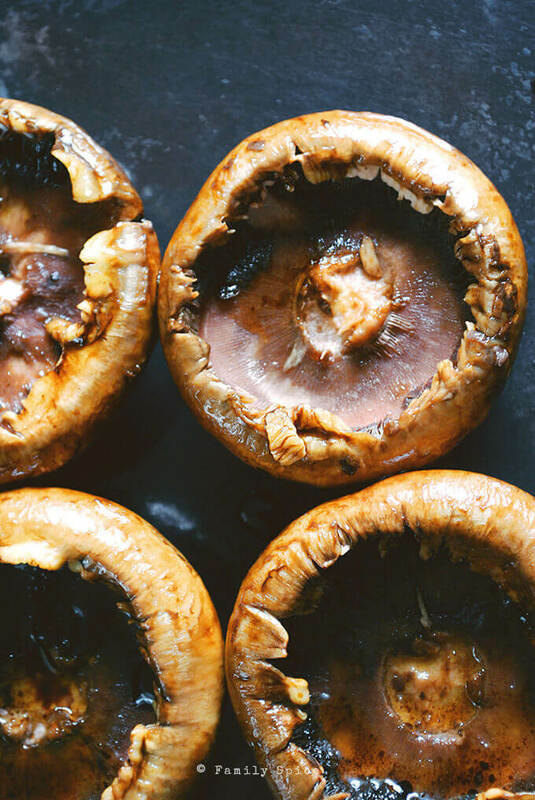 Remove from the oven and pour out juices that have pooled inside of the mushroom caps. 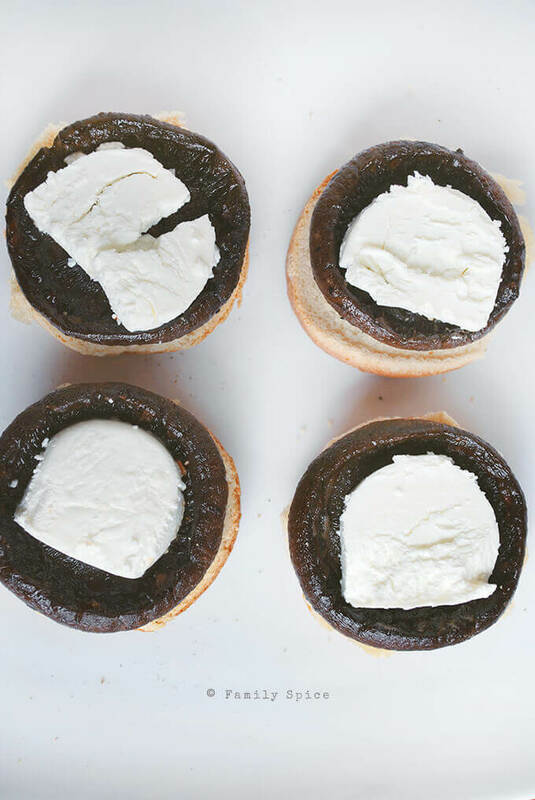 Place mushroom caps on top of the bread, with the bowl of the mushroom facing up. 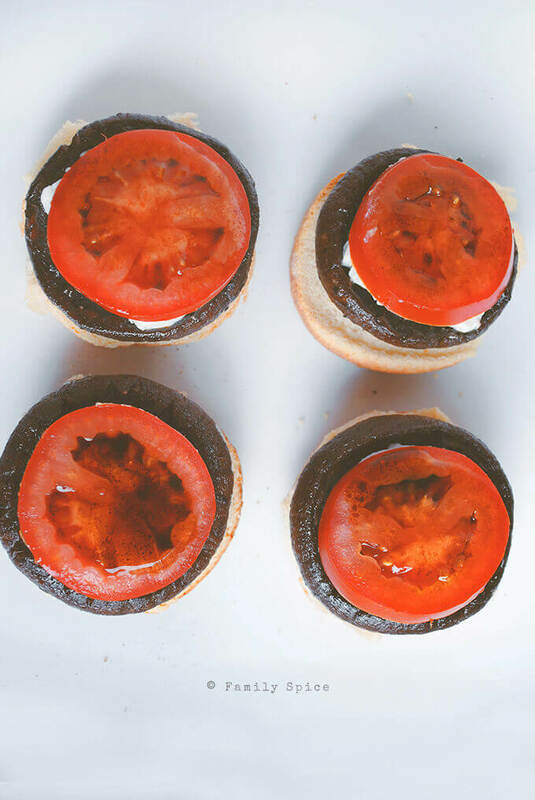 Drizzle balsamic mixture evenly over the tomato slices on each sandwich..
Place dinner roll tops over the basil and serve warm or room temperature. Serving Suggestions: Great as an appetizer or a meal! Serve with a side of olive oil and balsamic vinegar for dipping! 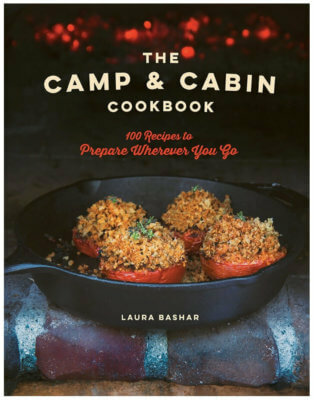 You can also use your favorite Balsamic Salad Dressing, too.